The Wandering Arborist: What would you do for Liberty? What would you do for Liberty? 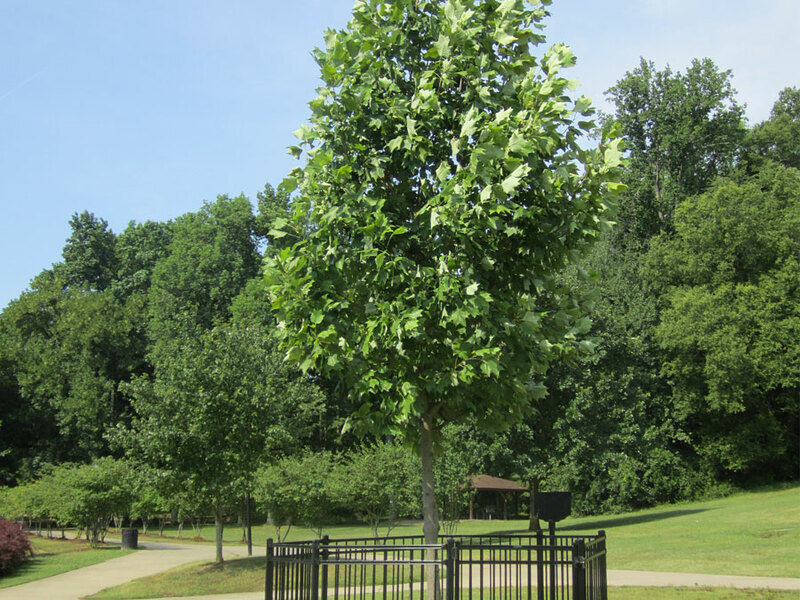 In 2010 an unknown assailant attempted to cut down a young tulip poplar in Charlotte's Freedom Park. The vandal made it half way through the trunk before giving up. While I know how many arborists feel about tulip poplars, this one was different. This tree was grown from the seed of Maryland's original Liberty Tree. You can read more about that story here: http://thequeenscrown.org/locations/6/Freedom-Park-Tulip-Poplar . In an attempt to save the tree, horticulture staff installed guys in the direction of the damage and fastened steele plates adjacent to the cut. Tulip poplars are fast growing trees, especially when young, and the idea was by stabilizing the trunk the tree will form reaction wood and grow over the damage. After 2 years, see the amount of growth already put on by the tree. Many of the prejudices we have about tulip poplars come from working on forest grown trees that suddenly find themselves in the middle of a suburban development. Open grown tulip poplars can develop massive trunks with good taper, and are usually not as tall because reduced competition for light. We think of tulip poplars as poor compartmentalizers, but the speed at which decay moves is relative, and may take decades to effect a tree that is today young and vigorous. What would you do? Would you have just removed it and said 'oh well.' I think the horticulture department did the right thing, and because of these efforts we'll have an interesting tree to enjoy for years to come. Is this what they call bridge grafting? 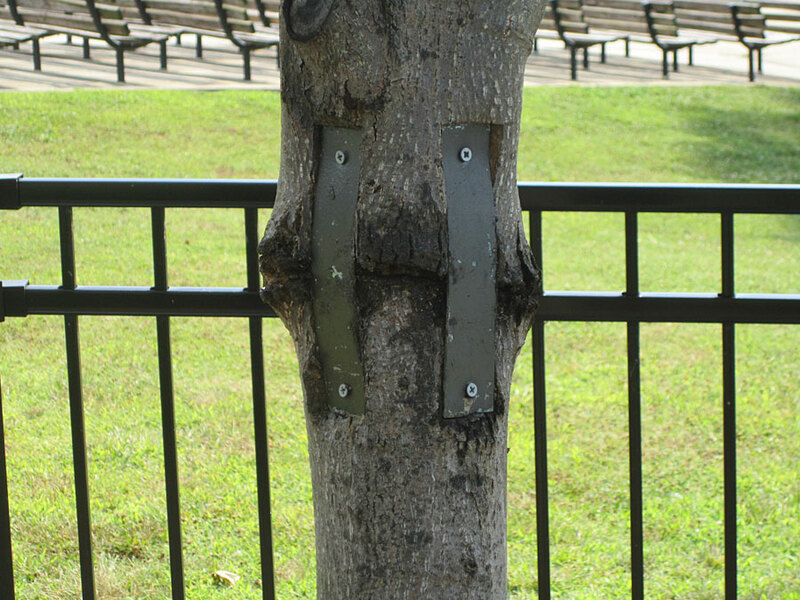 I hadn't heard about the attack on this tree.